Bangkok-headquartered chemical producer Indorama Ventures Public Company Limited (IVL), is to acquire DuPont Teijin Films (DTF), a producer of Biaxially-oriented Polyethylene Terephthalate (BOPET) and Polyethylene Naphthalate (PEN) films with total film/polymer capacity of 277,000 tonnes/year. The DTF acquisition includes 8 production assets in the US, Europe and China, with a global innovation centre in the UK. The transaction is expected to be completed during late 2017 or early 2018, subject to the usual regulatory approvals. DuPont Teijin Films (DTF), a joint venture between DuPont and Teijin Limited, says it is a premier producer of BOPET and PEN polyester high value-added film with unique functionalities. The group specialises in film products for the speciality, industrial, packaging, automotive, advanced magnetic media, photo systems, electrical and electronics markets and many more products that are essential in modern life. Included in the transaction are manufacturing and R&D operations associated with four joint ventures in the US, UK, Luxembourg, and Hong Kong (DTFC), which includes two JVs in China (51%), as well as sales and technical capabilities, intellectual property, licenses and the Melinex and Mylar registered brands. 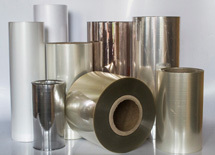 The global BOPET film industry has expanded rapidly and there are increasing applications and end-uses. The global consumption of BOPET is expected to increase at an average rate of about 7% CAGR per annum making the acquisition attractive. Critical success factors are customer intimacy, product innovation and R&D capabilities, which align well with DTF’s core competencies. Through the acquisition, IVL will further enhance PET integration and value-enhancement through captive NDC, a specialty chemical used in high performance polymers and films. IVL is the world’s only commercial manufacturer of NDC. Teijin’s main fields of operation are fibres such as aramid, carbon fibres & composites, healthcare, films, resin & plastic processing, polyester fibres, products converting and IT. The group has some 170 companies and around 19,000 employees spread out over 20 countries worldwide. It posted consolidated sales of JPY 741.3 billion and total assets of JPY 964.1 billion in the fiscal year ending March 31, 2017. Indorama Ventures Public Company Limited, a DJSI member, listed in Thailand (Bloomberg ticker IVL.TB), has a vast global manufacturing footprint across Africa, Asia, Europe and North America. The company’s portfolio comprises Necessities and High Value-Added (HVA) categories of Polymers, Fibres, and Packaging, selectively integrated with self-manufactured Ethylene Oxide/Glycols and PTA where economical. 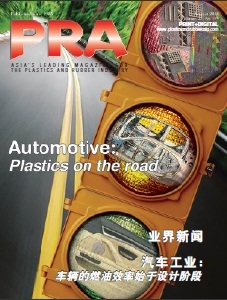 IVL products serve major FMCG and Automotive sectors, i.e. 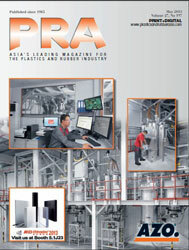 Beverages, Hygiene, Personal Care, Tyre and Safety segments. IVL has approx. 15,000 employees worldwide and consolidated revenue of US$7.2 billion in 2016.